Always know where your vehicles are, no calling around for your drivers. Add more jobs due to improved dispatching. Our fleet tracking app can help reduce your costs by reducing vehicle speed, decreasing idle times and improving routing & dispatching. Our hours worked report provides you with daily actual start and finish times, hours worked, days worked . Improved efficiency! 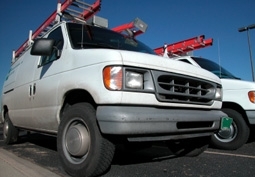 Reduce vehicle emergency service by staying on the top of vehicle repair and maintenance. Decrease wear and tear, and potentially lower insurance costs. Reduce unauthorized vehicles use, quickly recover stolen vehicle. Control unsafe driving habits before they lead to more serious issues. Get to customers faster and respond quicker to customer emergencies. Provide historical proof of service and make service calls more efficient.